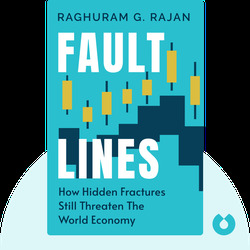 In Fault Lines, author Raghuram Rajan unveils the global economy’s hidden fractures that led to the 2008 financial crisis. These blinks show that greedy bankers weren’t the only ones to blame; our economic system had deep systemic flaws as well. Importantly, they outline what we can do as a society to prevent similar crises in the future. 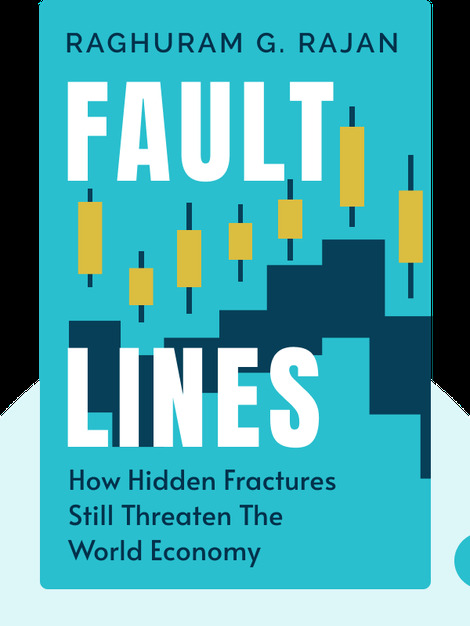 One of the few experts to have seen the 2008 crash coming, Raghuram G. Rajan, formerly chief economist with the International Monetary Fund (IMF), is a professor of finance (on leave as of 2013) at the Graduate School of Business at the University of Chicago and the governor of the Reserve Bank of India.